First, let's get this post started with a shout out to the BFF and her new blog. You can find it here. If you care. And if you do visit, make sure you leave some inappropriate comment. She appreciates those. A lot. And while I realize it's a little lacking now, once she figures out how to stop being blog 'retarted', I promise, it will pick up steam. At least that's what we are telling her. SHHHHH. 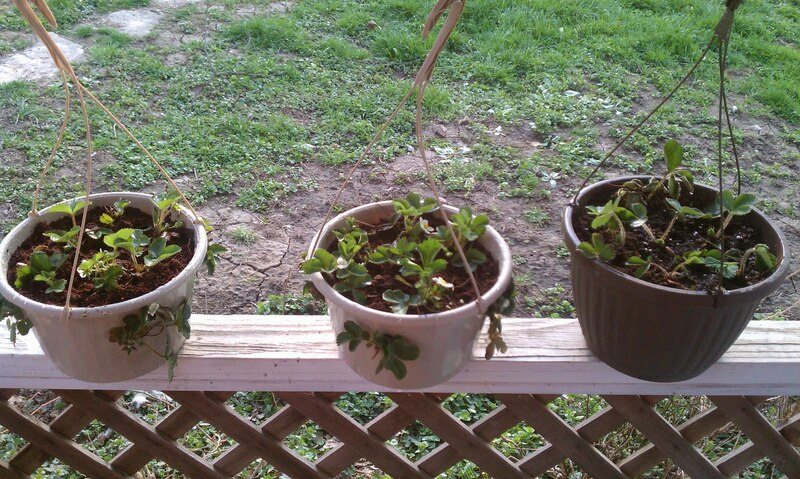 Annnywho, back to what's important here: Me and my (temporarily) pitiful garden. Only slight progress was made today, because, as with most of the projects I undertake, I *severely* underestimated the amount of crap I was going to have to do to get this ready. Let's be honest, shall we? I totally thought I was going to be able to go outside, scrape off some weeds and grass and unruly ivy to reveal a garden bed just aching to birth vegetables from it's soil-y loins. Realistically? This is going to be the death of me. Point is, I gots to do some diggin'. A crap ton of digging, if you will. And where will that dug up dirt go? I'm working on that part, but where it's at ain't workin' for no one. I finished hoeing (bahahahahaha....still. funny.) the middle garden area, and took the shovel to it to turn the dirt. I'm thinking what's in there will be okay once it's supplemented with some fertilized soil on top. Yes. I realize that looks exactly the same as the other ones. Unless you are paying attention. Then you will notice that the middle garden is free of miscellaneous green stuff. It's all about subtleties, people. Now. See that top area? With ALL the green ivy stuff? That's next. Probably. I don't mind the ivy being there, in fact, I probably won't really trim it back. What I'm concerned about is all the weedy stuff underneath it. 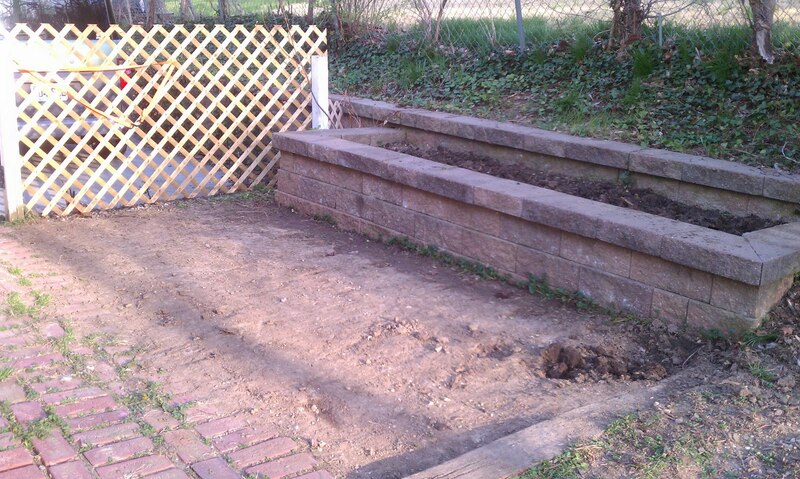 And how I'm going to attempt to tack that crap back so I can get the weedy stuff out. I need at least a foot of room there to get the pumpkins and watermelon in. 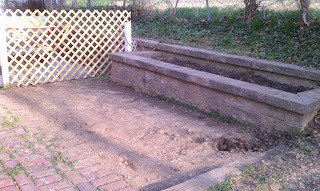 I did also mention all that dirt that has to be removed, right? Just take a moment and soak that in. Right. 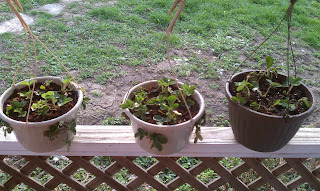 So, I picked up some strawberry plants today from Richmond. See? 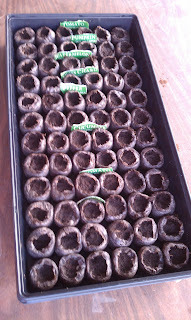 They are second or third or twelfth generation plants that were started by my go-to master gardener, who also happens to be a member of my family. She pulled them from her garden, so basically if they fail? My fault. No pressure though. I am still deciding whether or not I want to leave one of the pots as is. 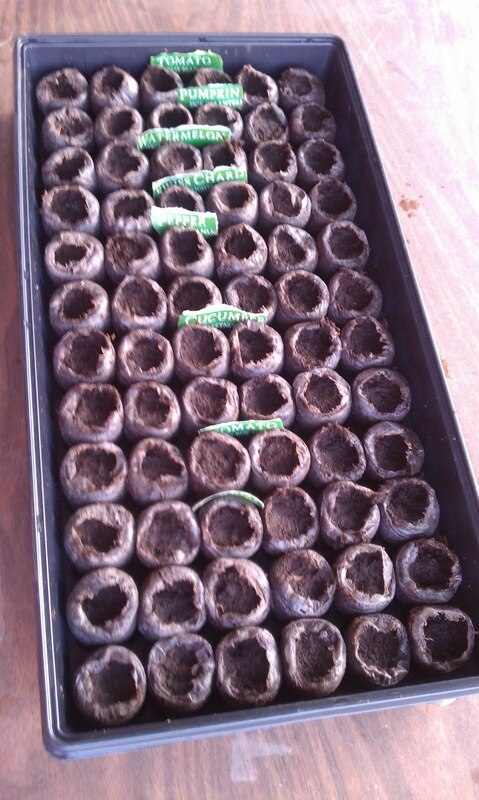 The white ones are the kind that have the holes in the sides for growing strawberries in, and I kinda wanna see if they really can flourish in there. I've always heard/read mixed reviews when it comes to having a hanging basket of either strawberries or tomatoes, so I'm a little curious. Yeah. Me either. Failing already. We are sooo off to a great start. Yes, yes, I'm still here. I just do not have anything to talk about. No seriously. Let's go through the checklist, shall we? Job front - still unemployed. check. Garden - still not growing. not even a little bit. check. Running - haven't been since the last race. check. Weather - still cold and crappy. check. So yeah, you know. Lots of good stuff rockin' over here. Monkey leaves for Texas in a few days, so there's that. I am totally not winning lately, gah. Free time. As in, I have too much of it. Just call me... Kung Fu Gardener.